The Center of Excellence for UAS Research, Education, and Training collaborates across campus. Utilizing the established research university, the UAS Center expands its resources and research opportunities far beyond aviation. The John D. Odegard School of Aerospace Sciences, the School of Engineering and Mines, and the Northern Plains Center for Behavioral Research are three invaluable university resources that make such opportunities possible. Dr. Lindseth has over 4,000 hours of flight time, mostly as an instructor. He brings a unique blend of both fixed wing and rotary wing experience to the Aviation faculty. In addition, he has expertise in the area of human factors research. Dr. Lindseth teaches both fixed wing and rotary wing private pilot courses, and the Commercial Pilot Aircraft Systems courses. He also teaches Aviation Safety, Basic Attitude Instrument Flying, and Helicopter Aerodynamics. With a Ph.D. degree in Education from the University of Michigan, Dr. Lindseth has been able to establish his expertise in the area of Human Factors Research, publishing refereed articles in the Journal of Aviation, Space and Environmental Medicine and the Journal of Aviation/Aerospace Education and Research. In addition, he has contributed articles to the Collegiate Aviation Review, several issues of Prevention magazine and numerous other magazines and newsletters. In 2003, Dr. Lindseth was awarded a $650,000 U.S. Army Research Grant to study the effects of dietary intakes on cognition and flight performance. He holds both airplane and rotorcraft-helicopter commercial/instrument ratings as well as Ground Instructor and Certified Flight Instructor ratings. Dr. Bridewell joined the University of North Dakota in January 1985. He has been a Certified Flight Instructor since 1972 and holds an ATP certificate with over 5000 hours of flight experience, including flight time as a bush pilot and corporate aviation pilot. As a collegiate aviation educator he has broad academic expertise that includes flight instructing, flight program management, flight and academic curriculum development, and classroom instruction. Past research has concentrated on the interactions between aviation industry, collegiate aviation institutions, and aviation instructors, but he has also been involved in human factors research related to alcohol, age, time of day, and altitude effects upon pilots. Highlights of his academic service record include serving as chair for a number of university committees and chair of the University Senate, as well as coaching the UND Flying Team to five national championships. At present, Dr. Bridewell is the Principal Investigator/Program Manager for a cooperative effort between the UND Center for Unmanned Aircraft Systems Research, Education, and Training and the Air Force Research Laboratory (AFRL), 711th Human Performance Wing, Warfighter Readiness Research Division. Under that agreement, a state-of-the-art program is being developed to provide a training pipeline for agencies and corporations to educate pilots and sensor operators in the fundamental knowledge and skill sets required to operate medium-sized Remotely Piloted Aircraft. Dr. Askelson is a Professor of Atmospheric Sciences at the University of North Dakota. He has over 20 years of research and applications experience with weather radar, including advanced applications involving radar polarimetry and phased array technologies. His areas of expertise include radar meteorology, numerical weather prediction, data assimilation, and unmanned aircraft systems (UASs). His current foci include the use of phased array radars in aircraft deconfliction systems for UASs and the use of cooperative information to enable deconfliction of unmanned aircraft with other aircraft. Dr. Askelson has led multiple UAS research efforts, including multimillion-dollar research efforts focused on integration of UAS into the National Airspace System using both ground-based phased-array radars (development of the Ganged Phased Array Radar-Risk Mitigation System; GPAR-RMS) and cooperative data (the Limited Deployment-Cooperative Airspace Project; LD-CAP). He is currently a lead in the ASSURE “Small UAS Detect and Avoid Requirements Necessary for Limited Beyond Visual Line of Sight (BVLOS) Operations” effort. Mr. Concannon currently serves as a part-time UAS Research Assistant. He also works for General Atomics as an Instructor Pilot for U.S. Customs and Border Protection (CBP) at Grand Forks Air Force Base, flying the MQ-9 Predator B. Previously as the Unmanned Aircraft Systems Curriculum Coordinator, he was developing the curriculum for the upcoming UAS degree program. He had written the introductory class and has taught that class to undergraduate students and faculty members. Bob also developed a training program to teach students to fly the CropCam UAS and act as observers as part of the university's research program. He has written and submitted to the FAA numerous Certificates of Authorization and Waiver (COA) to fly the CropCam, Bruce Tharpe Super Hauler, and the ScanEagle in the National Air Space (NAS). The Bruce Tharpe Super Hauler was being flown to test payloads for the UND engineering departments. He continues to support the university in a variety of research projects associated with the UAS community. Mr. Concannon holds the following certifications ATP multi-engine land and commercial instrument single engine land. 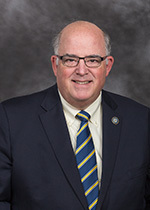 Paul’s educational background includes a Master of Science Degree in Instructional Design and Technology, University of North Dakota, Bachelor of Professional Aeronautics Embry Riddle Aeronautical University; Paul has worked as a Tower and Radar Air Traffic Controller from January 1979 to July of 1998. From September of 1998 until present Paul has been a faculty member at the University of North Dakota. Paul is also the Director of Contract Training for the UND Aerospace Foundation managing ICAO Air Traffic Control Training Programs from 2000 to present. Paul is currently Co-Director of the FAA AT-CTI Air Traffic Management program at the University of North Dakota. F. R. Ferraro completed his BA degree in psychology at SUNY-Potsdam (1982), and his MA (1986) and PhD (1989) in Experimental Psychology from the University of Kansas. From 1989-1992, he was a neuropsychology postdoctoral fellow in both the psychology department and the Alzheimer’s Disease Research Center at Washington University in St. Louis. 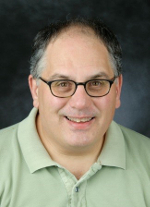 Ferraro currently serves as Editor-in-Chief of Current Psychology and has either served as Editor or reviewer for several other journals. In 2005, Ferraro received the Thomas J. Clifford award for his research at UND. In 2007, Ferraro was awarded the Chester Fritz Distinguished Professorship, the highest faculty honor at UND. His human factors interests started in 1983 and he is currently a Member of the Human Factors & Ergonomics Society. From a human factors perspective, he has published papers dealing with reading text from a computer screen, how individuals comprehend written and auditory information, attention allocation, dual-task processing, divided attention, text processing, information processing and cognition. Alan Frazier is an associate professor within the University of North Dakota’s Odegard School of Aerospace Sciences. Courses taught include: Public Safety Aviation; Helicopter Aerodynamics; General Aviation Management and Operations; Instrument Regulations and Procedures; and Introduction to Aviation. Professor Frazier also serves as a flight instructor and stage check pilot providing instruction in airplanes (land and sea) and helicopters. He has accumulated over 6100 hours of pilot-in-command flight time with over 3400 hours as a flight instructor. He holds an FAA Airline Transport Pilot Certificate and is rated to fly airplanes (single and multiengine), helicopters and gliders. Professor Frazier served as a law enforcement officer for over 30 years. His police assignments included Patrol; Special Enforcement; SWAT-Hostage Negotiations; Internal Affairs/Training; and Air Support. He is the former officer-in-charge of the Glendale (CA) Police Air Support Unit where he accumulated over 800 hours of turbine helicopter flight time supporting police operations including numerous high speed pursuits and covert counter-narcotics surveillances. Professor Frazier has also served as a National Park Service Ranger-Pilot supporting law enforcement operations at Katmai National Park and Preserve, Alaska. 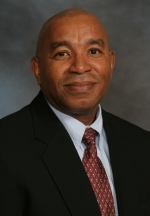 Professor Frazier possesses a BS degree from Middle Tennessee State University (aerospace administration) and an MPA degree from the University of Southern California (public administration). Current research includes the establishment of the Red River Regional Air Support Unit, a multi—jurisdictional law enforcement air support partnership; Application of UAS to law enforcement missions; and EMS heliport lighting. Emanuel S. Grant received a B.Sc. from the University of the West Indies, MCS from Florida Atlantic University, and a Ph.D. from Colorado State University, all in Computer Science. Since 2008, he is an Associate Professor in the Department of Computer Science at the University of North Dakota, USA, where he started as an Assistant Professor in 2002. His research interests are in software development methodologies, formal specification techniques, domain-specific modeling languages, and model driven software development. Emanuel is an adjunct professor at the Holy Angel University, Philippines, where he is conducting research on software engineering teaching with collaborators from HELP University College, Malaysia, Rochester Institute of Technology, New York, Baylor University, Texas, Montclair State University, New Jersey, and University of North Carolina Wilmington, North Carolina. Emanuel is a member of the Association for Computing Machinery (ACM), Upsilon Pi Epsilon (UPE), and the Institute of Electrical and Electronics Engineers (IEEE). Dr. Lindseth serves as Associate Dean and Director of Research for the College of Nursing at the University of North Dakota. Her research focuses on the nutritional effects associated with performance and gastrointestinal distress of 'at-risk' populations. Her primary research funding sources have included the National Institutes of Health (NIH), the Department of Defense, and the Retirement Research Foundation. Dr. Lindseth has also been instrumental in gaining NIH funding for construction and development of the Northern Plains Center for Behavioral Research on the UND campus, a state-of-the-art research facility scheduled to open this fall. She is now focused on securing additional funding to build a clinical research infrastructure in the NPCBR. This work is being facilitated through a funded planning grant from the NIH to establish a Northern Plains Center for Research Translation. The goal being a successful Clinical and Translational Sciences Award (CTSA) application that would provide funding towards translational research on behavioral science and health promotion. Dr. Lindseth is also a Co-investigator on a State Center of Excellence for Economic Development award from the State of North Dakota. Dr. Ronald Marsh joined the University of North Dakota faculty in 1999 as an assistant professor of Computer Science. He was promoted to the rank of associate professor in 2005. Lead engineer for the development of a 4-f optical correlator as part of a proposed upgrade for the cruise missile’s target recognition system. Lead engineer for the development and deployment of a naval sensor suite. Lead engineer for the development of optical systems (seekers) for several naval missile systems. Participated in the development of flight planning software for the cruise missile. Conducted image processing research on several food processing applications, pattern recognition systems, and image analysis systems. Jeremy McNeal is a UAS Lead Flight Instructor for the John D. Odegard School of Aerospace Sciences. His primary responsibilities consist of instruction on the Boeing/INSITU ScanEagle UAS Platform and course development. Jeremy served four years in the United States Army as an AAI Shadow UAV Operator, which included a 1 year tour in Iraq. After his tour he became a Standardization Instructor Pilot for the Shadow UAV System. Upon completion of his military service, Jeremy received training as a civilian ScanEagle UAS operator in September of 2007. He operated ScanEagle in support of the United States Marine Corps operations in Iraq. In July of 2008 he was trained as an OEM certified instructor for the ScanEagle UAS system which he currently instructs in. 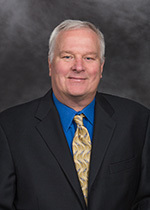 Mr. Nordlie received a Bachelor of Science in Computer Science and Geography in 1990, and a Master of Science in Space Studies in 1992, both from the University of North Dakota. He joined UND's Regional Weather Information Center in 1996, performing systems administration, programming, web development, sensor design, database development, and supporting field research efforts. Mr. Nordlie also collaborates with other UND departments on various projects relating to remote sensing, rocketry, high-altitude ballooning, and Unmanned Aircraft Systems. These departments include Atmospheric Sciences, Computer Science, Aviation, Space Studies, Electrical Engineering, Mechanical Engineering, and the Upper Midwest Aerospace Consortium. He holds a general class license in amateur radio, has a life-long interest in electronics, computer controls and robotics, and has over two decades of experience with remote controlled model aircraft. John Nordlie piloted the first Unmanned Aerial Vehicle operated by UND, and currently manages and trains students in the CropCam UAS project. Thomas Petros, now a Chester Fritz Distinguished Professor, started his career at UND in 1980. He earned a B.A. (1975) in secondary education, and a M.A. (1978) and Ph.D. (1981) in cognitive-developmental psychology, all at Kent State University. Petros has been awarded several research grants by such agencies as the National Institutes of Health and the Department of Defense. His areas of research have included reading processes; memory and aging; pharmacology and memory; and aviation and psychology. 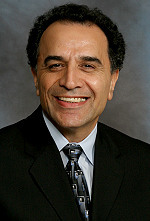 Dr. Hassan Reza is an Associate Professor and The Director of Graduate Studies in The Department of Computer in the School of Aerospace Sciences at the University of North Dakota, Grand Forks since 2000. He received his Ph.D. in 2002 from the Department of Computer Science and Operation Research at the North Dakota State University, Fargo. Hassan is a Chair of the International Conference on Software Engineering Research and Practice and PC member for a numerous Software Engineering Related conferences. He is currently serving as an Associate Editor for International Journal of Critical Computer-Based Systems (IJCCBS). Hassan’s primary research interests are in Software Architecture, Cyber Physical Engineering, Safety and Security Engineering of Software Intensive Systems using Model-Based Software Engineering. He is a member of the Association for Computing Machinery (ACM), and the Institute of Electrical and Electronics Engineers (IEEE). Dr. William Semke joined the University of North Dakota faculty in 2000 as an assistant professor of Mechanical Engineering. He was promoted to the rank of associate professor in 2006. Dr. Semke conducts contemporary research in precision motion and vibration control, smart structures, and aerospace hardware design; along with instruction in the areas of mechanical design and experimental methods. He established the Vibration and Precision Engineering Laboratory (VPEL) within the School of Engineering & Mines to support his research and teaching. The equipment includes a laser vibrometer, 1200-lb and 100-lb mechanical shakers, digital vibration controller, laser displacement sensor, capacitance gauge, dynamic surface profiler, high voltage amplifier, digital data acquisition systems, digital signal analyzer, commercial finite element software, professional CAD software, mathematical software packages, and assorted accelerometers and load cells. Chris Theisen currently serves at the Director of Research & Development for the Northern Plains UAS Test Site as well as a Radar Research Meteorologist for the Regional Weather Information Center. He graduated from the University of North Dakota with a B.S. (May 2003) and M.S. (May 2006) in Atmospheric Sciences. During his M.S. studies, he specialized in polarimetric radar meteorology with emphasis on cloud microphysics while also working as a weather forecaster for Meridian Environmental Technology, Inc. He then joined the faculty of the Atmospheric Science Department at UND (August 2006) as a temporary instructor of radar meteorology. In May of 2007, Mr. Theisen became a full-time research staff member at UND supporting a variety of UAS efforts. He has worked heavily with UND UAS Center on UAS projects in ground based and airborne sense and avoid, cooperative airspace techniques, and furthering UAS integration into the National Airspace System. Professor Trapnell leads the development and implementation of the University’s Unmanned Aircraft Systems Operations degree program. Professor Trapnell has been involved with the development of UAS programs and research since their inception at the University of North Dakota. Funding for research has come from the Federal Aviation Administration and the United States Air Force, through the Joint UAS Center of Excellence at Creech Air Force Base, Nevada. He spearheaded the ongoing development of a ground-based radar risk mitigation system (GPARS RMS) that has led to the adoption of ground-based radar as an interim solution for the integration of UAS into the National Airspace System. Published works include papers outlining the regulatory history of See and Avoid, the development of ganged phased array radars for use in UAS risk mitigation and risk indication, and the preparation for a career in UAS operations. Mr. Olsen currently serves as a Project Manager for various UAS Center of Excellence projects and programs. Since 2011 he has been Principal Investigator for a North Dakota Center of Research Excellence grant developing a Global Hawk Sensor Operator Part Task Trainer, working in collaboration with Northrop Grumman Corporation and other industry partners. 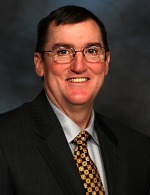 He is also Co-Investigator for a UAS simulation project with Rockwell Collins, Inc.; contributes to collaborative efforts with a number of UAS COE research partners from industry, academia, and state and federal agencies; assists with development of research, and operational funding opportunities; and serves as occasional guest lecturer in the undergraduate UAS program. Mr. Olsen represents UND on the FAA-chartered RTCA SC-228 Committee, working to establish Minimum Operational Performance Standards for integrating UAS into the National Airspace System (NAS). Prior to joining the UAS COE, Mr. Olsen served as Associate Director for the Center for People and the Environment (CP&E) within the Earth System Science and Policy (ESSP) department of the John D. Odegard School of Aerospace Sciences. As Associate Director he was responsible for direction and oversight of the Center’s non-teaching research faculty and staff, leading efforts ranging from sensor development and operations to image processing and analysis, the latter of which included interactive web portal data delivery to and training of general public end users of Center resources. He was Co-Investigator on a number of NASA-funded research projects, and remains Principal Investigator for the North Dakota Center of Excellence in Space Technology and Operations. Among other efforts, while Associate Director Mr. Olsen was the Project Manager for development and operation of two NASA-funded multi-spectral sensor systems at UND – the Airborne Environmental Research Observational Camera (AEROCam), flown on a UND aircraft for research and precision agriculture end users; and the International Space Station Agricultural Camera (ISSAC), which remains in orbit onboard the ISS. Mr. Olsen is also an Adjunct Assistant Professor in both the Electrical Engineering and the Space Studies departments at UND. Prior to joining UND, he spent 15 years working for various aerospace companies including Boeing, Northrop Grumman, and Hughes (now Raytheon), the latter while at the NASA Goddard Space Flight Center. Mr. Olsen holds an M.S. in Space Studies from the University of North Dakota and a B.S. in Electrical and Electronics Engineering from North Dakota State University.